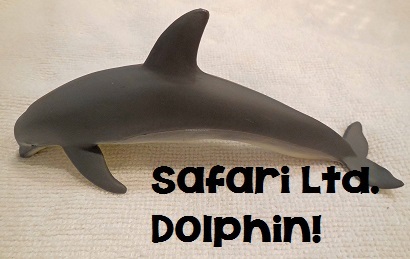 Another surprise in our package from Safari Ltd. recently was a dolphin. Post 1 from this box is at this link. We had some more fun with a dolphin! 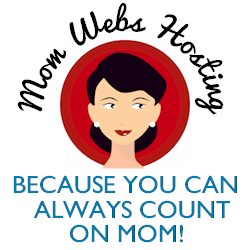 (non-affiliate link, non-sponsored post). 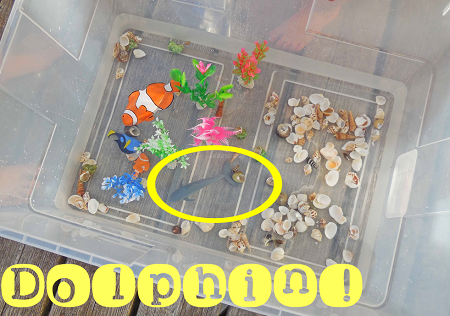 Of course we love dolphins and so we had some fun setting up our own ocean and playing with the realistic figures, seashells, and seaweed. This was very entertaining and refreshing out of the deck in the summer sun. This is a better view of our dolphin. Nice! 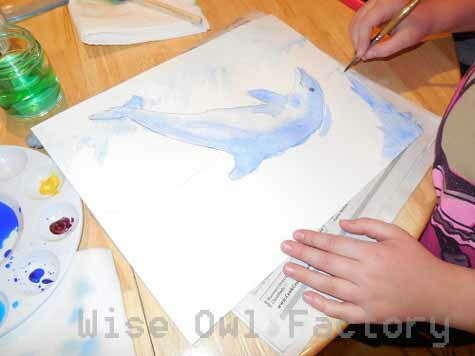 In a previous post, the child who likes dolphins painted a picture of one with highlights and low lights. She hopes to see a real one soon. After a while, we thought of going fishing. 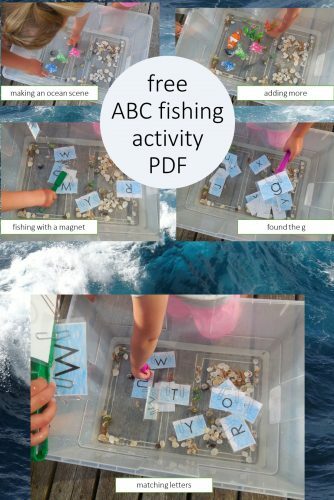 Using the printable ABC cards from post 1 and some paperclips and our magnetic wands, an alphabet fishing experience was set up. The toys were taken out to increase focus on the alphabet. They had done their job of creating an anticipatory set for learning. The shells helped keep the theme going. We used the wands as fishing poles, of course. 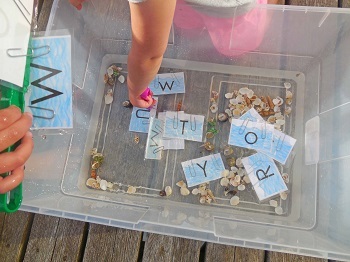 One way to use the cards is for matching upper and lower case letters. 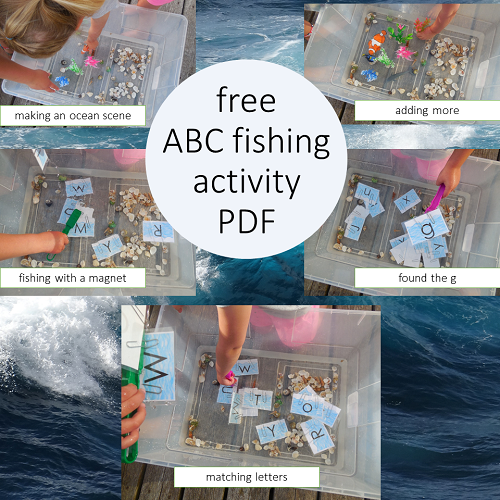 Another way is to fish for initial sounds. Oh, gee, it looks like the “guh” sound was found! 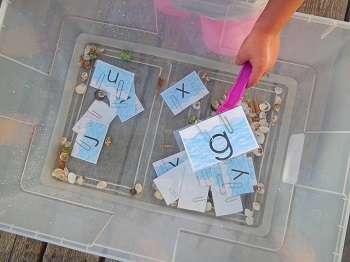 As Slippery as an Eel: An Ocean Unit Exploring Simile and Metaphor-–This is a link to my free lesson using these book on Read Write Think, a site by IRA (International Reading Association) and NCTE (National Council of Teachers of English).